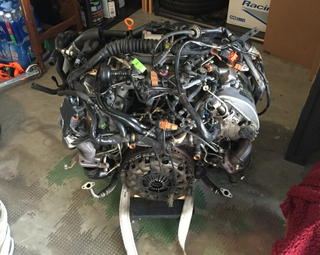 It looks like a big, jumbled headache right now, but the engine is pretty low mileage and is coming with full set of seals and gaskets that I would be replacing anyway, so that’s a nice bonus. 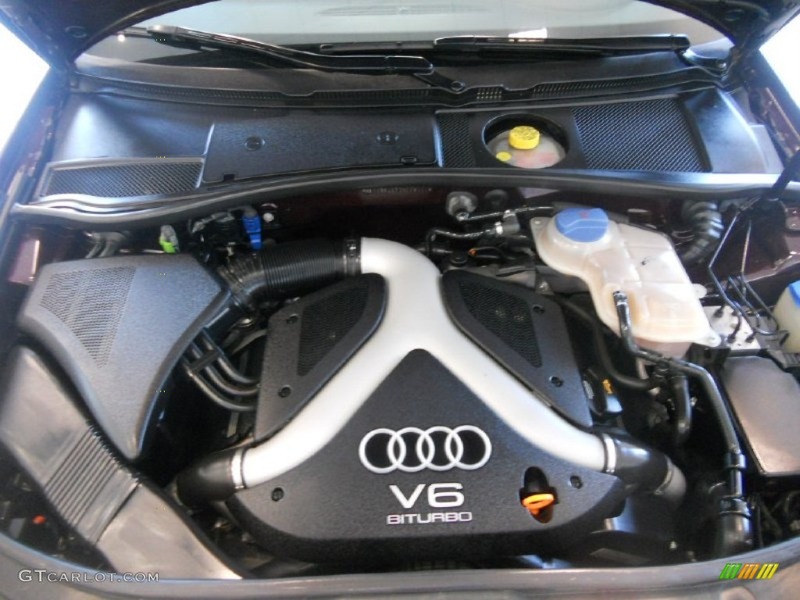 There are some differences between this S4 engine and the Allroad 2.7, the biggest of which is that the S4 did not come with secondary air injection and the Allroad did. Adapting it would mean either machining the heads or finding new heads from another Allroad — neither of which seem like fun options. Luckily, various tuning shops have successfully been able to set the expected airflow to 0 in a tune, so there is definitely a way around this with software. I’ll worry about that once I get it up and running though, because from what I read, the worst that will happen is it will just throw a CEL until I fix it. Not a huge deal in the meantime. The engine is missing a few things, namely turbos and the intake Y-pipe across the top. My buddy who is helping me with this build has extra sets of the stock S4 KO3 turbos, so I’ll be buying a nice, low miles set off of him to put on, and most of the other stuff I can salvage from my existing motor. I’m also ordering this ECS timing belt/waterpump kit to put on, as well as a new clutch. I really can’t wait to get this thing on an engine stand and start tearing into it. All of these things will be so much easier to do with the engine out on a stand, and I can take my time and make sure everything gets done right. P.S. I started a build thread on Pirate4x4 to catalog the build.